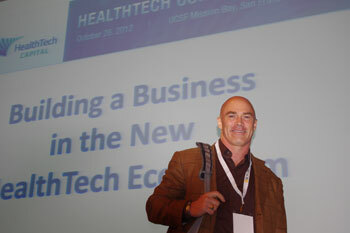 Recently WellnessFX was honored with the People’s Choice Award at the HealthTech Conference back in October. HealthTech Capital is a group of private investors dedicated to funding and mentoring new “HealthTech” start-ups and the award was determined by all of the attendees who participated in the conference. As a result, HealthTech interviewed WellnessFX CEO Jim Kean about the birth of the company, what we offer, our vision for the future, and the changing face of healthcare. This entry was posted in Company News and tagged awards, Healthcare, heathtech, jim kean, physician, visits, wellnessfx on November 26, 2012 by The WellnessFX Team.